This album is a slightly confusing one but in a good way. Confusing mainly because it mixes some very diverse styles of music such as Rock, Jazz, Prog, Blues and Metal together and surprisingly gets them all to work. 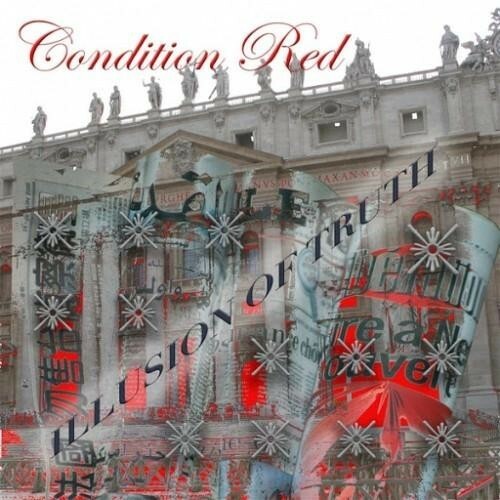 The brain child of guitarist, song-writer, producer and record label owner Lars Eric Mattsson, Condition Red are a band that aren't easy to pigeonhole. However, if you are a bit of a Jeff Cannata fan then, like me, you'll be pleased to find out that on quite a few parts of this album, mainly due to the vocals and musical arrangements of Mattsson, CR bear (at times) an alarming similarity to the work of Cannata. 'Changing' is ample proof of what I mean, the song screams Cannata at the top of its lungs but never falls in to a cabaret/tribute version of that band. With his guitar playing Mattsson has put CR's own individuality into the song, which is joined to a vocal melody that gives it a twist that is so pleasing to hear. Others to look out for are the late night Space Jazz-influenced instrumental 'Labyrinth', the soulful and dramatic (Cannata-like) epic entitled 'It's Not A Crime', the Bluesy 'Shake Off' where Mattsson shows just what a talented guitar player he really is and the wonderfully arranged and performed 'Can't Sell You A Lie'. As I previously said, '...Truth' is hard to categorize. Its music spans many genres, some that won't be to everyone who reads this magazines liking. 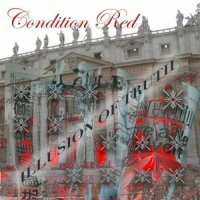 That aside, the musicianship, production and cleverness found in the songs melodies and arrangements should be enough to keep the musically adventurous amongst you more than interested in what Condition Red have recorded on 'Illusion Of Truth'. A good but eclectic album that needs a lot of patience to get the most out of it.